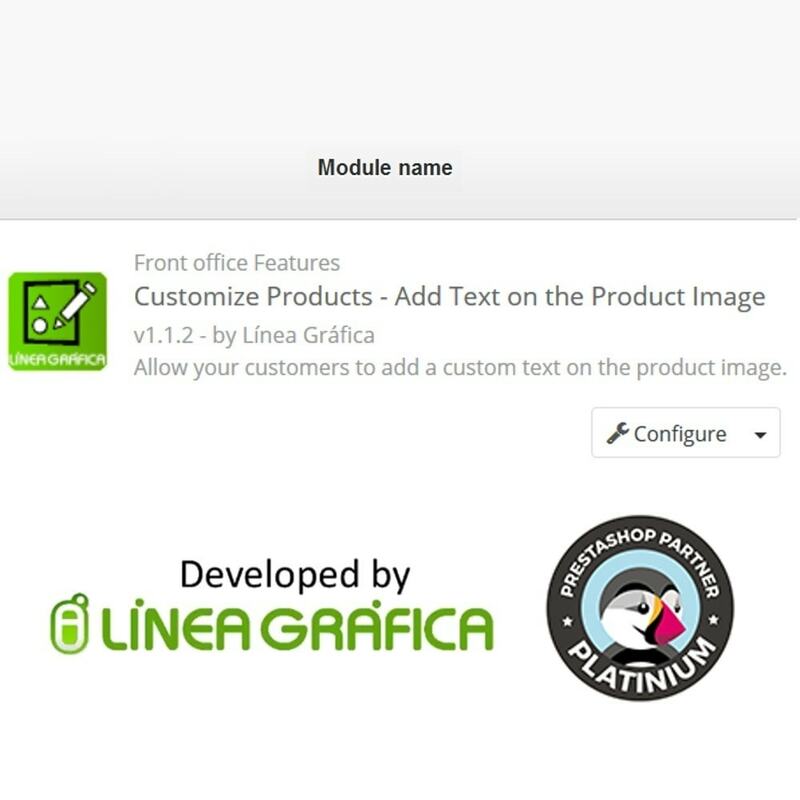 The module allows your customers to add a text over the product image. 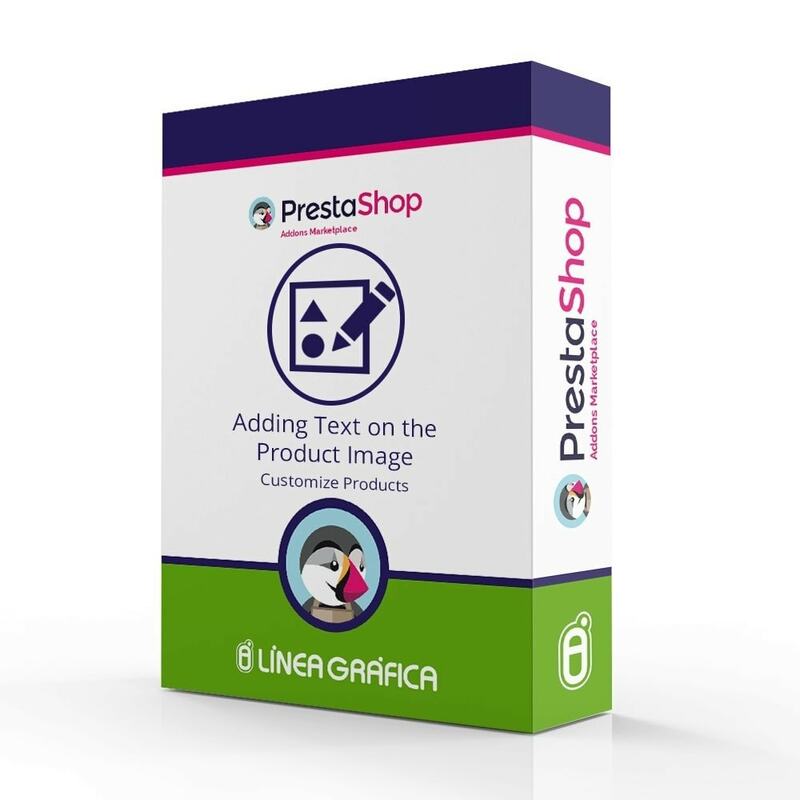 They can easily put the text they want, change the text color, font and size, and can easily move the text vertically and horizontally wherever they want on the image (they just need to click on it with their mouse and move it). 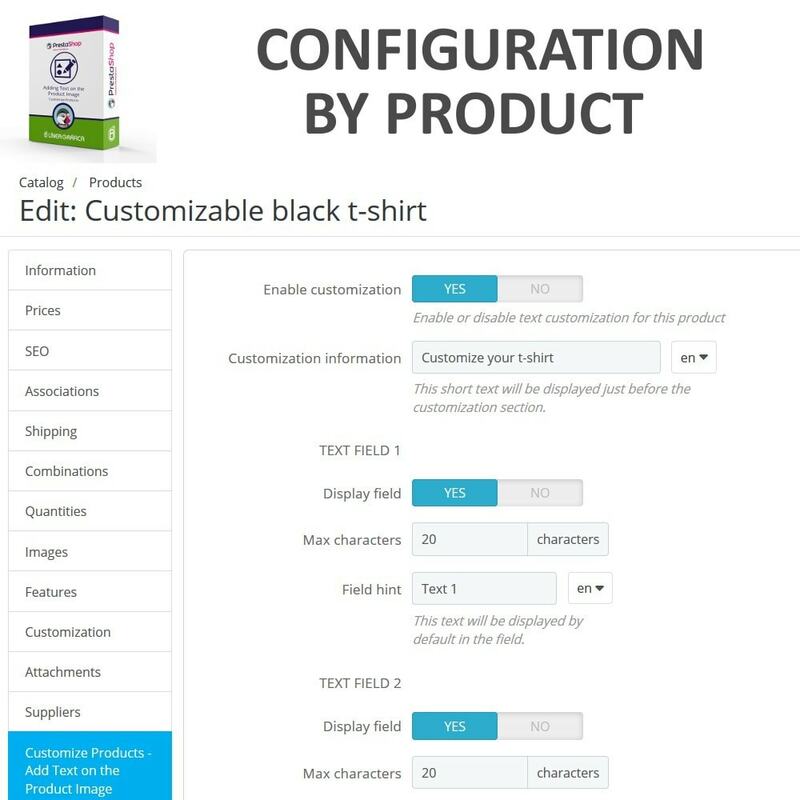 You can easily enable text customization for some products and disable it for other products. 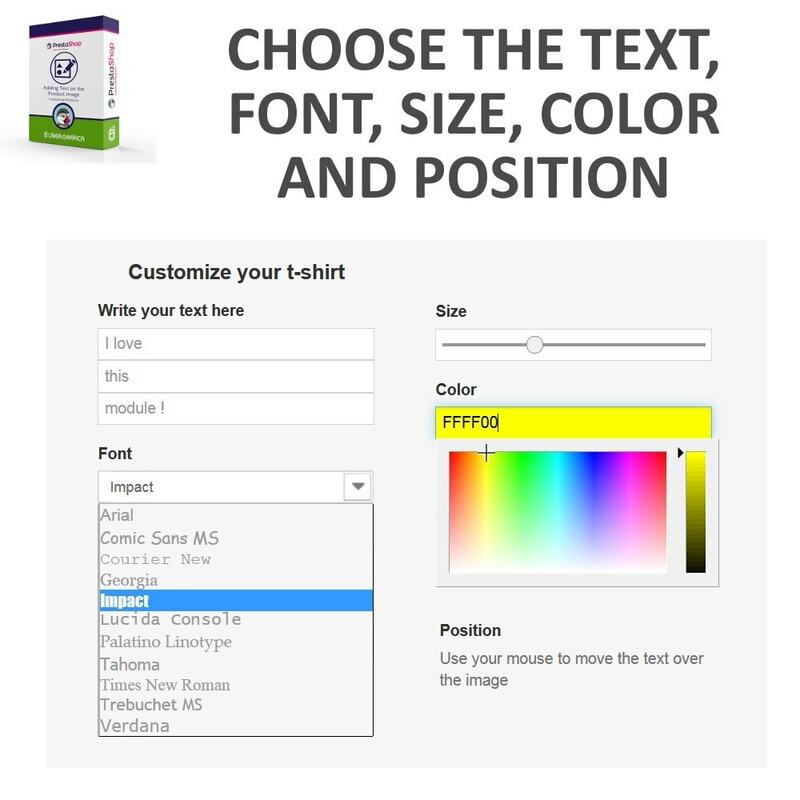 You can also choose the number of text fields and set the maximum number of characters by text field. 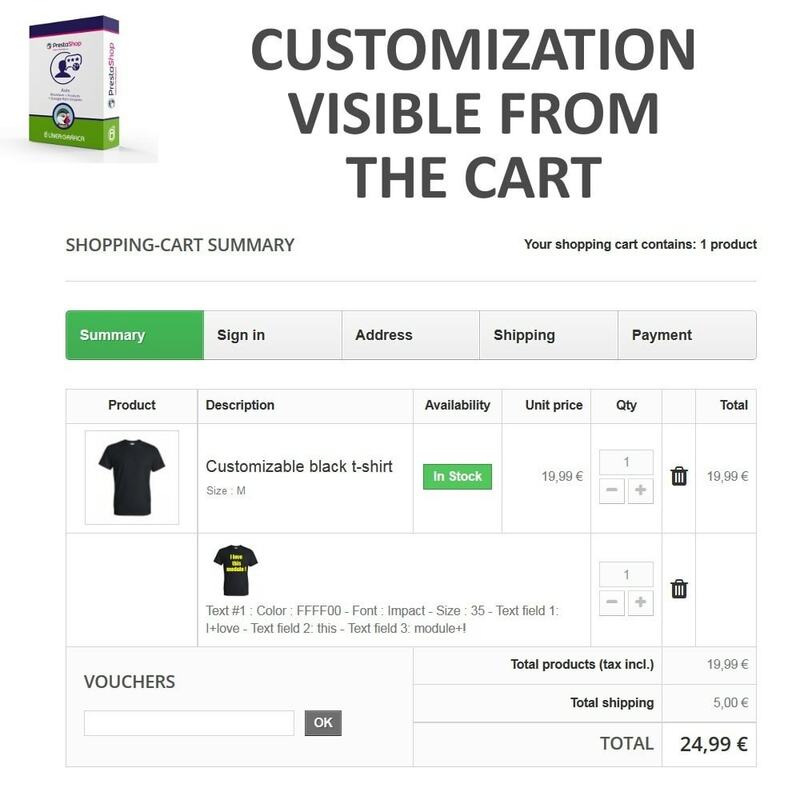 Once the customer has ordered the product, you can see the customization details on your "Orders" page. 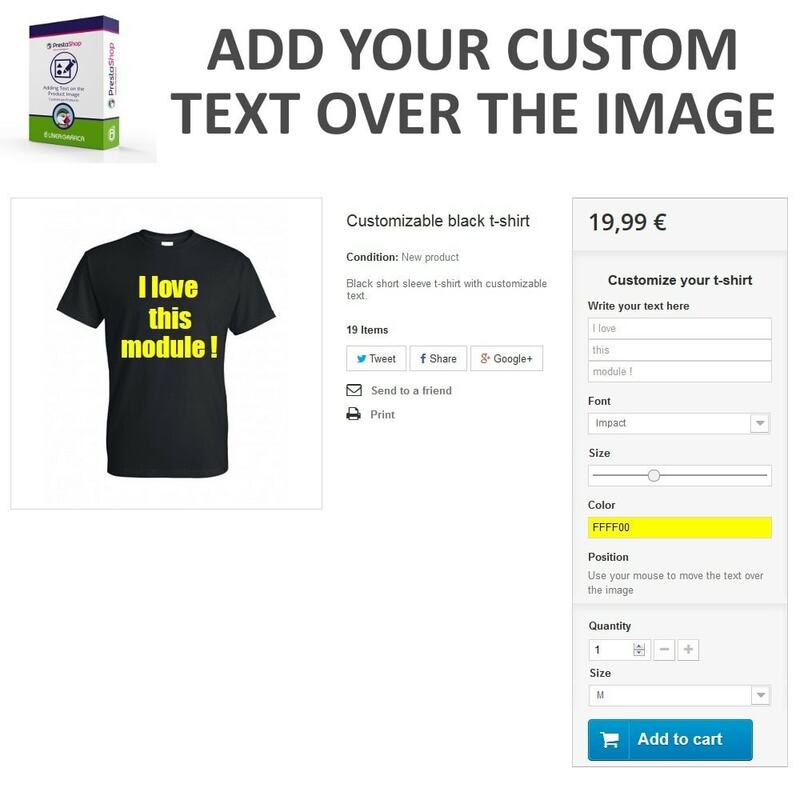 You can even download the image created by the customer with the exact same position of the text (the module saves the image with the text when the customer adds it to the cart). 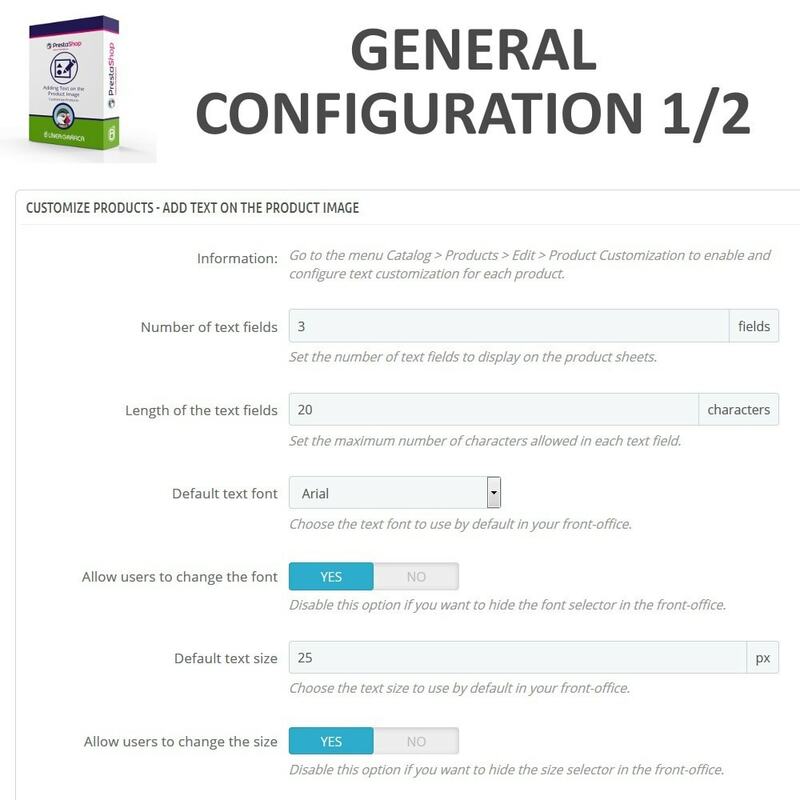 If you enable text customization for a product, customization will be enabled for this product on all the shops of the multistore on which the product is enabled.